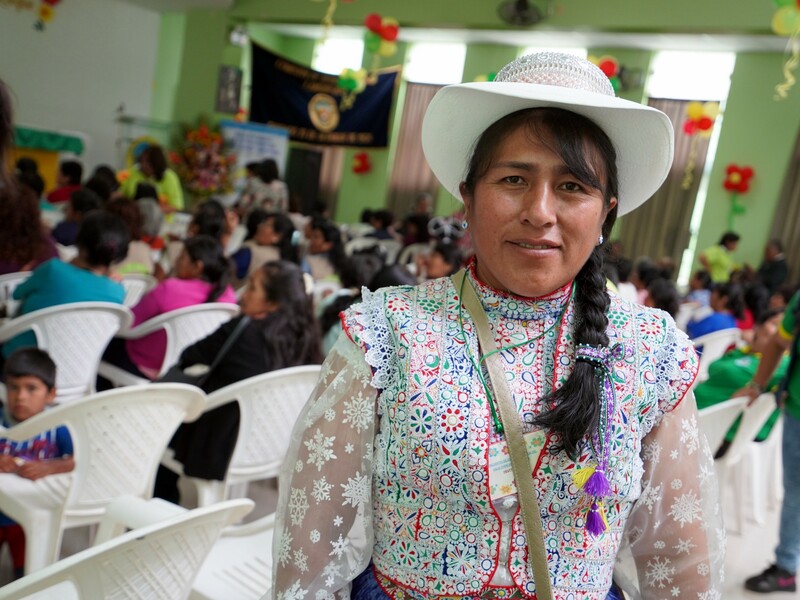 PERU — Empowering women to serve as water champions for their communities. Did you know Peru is the first country in Latin America to officially incorporate gender into its climate action planning? Released in 2016, the country’s Gender and Climate Change Action Plan assigns responsibilities for mainstreaming gender equality into many sectors, especially water resources management. USAID/Peru’s Natural Infrastructure for Water Security (NIWS) project is helping elevate women’s leadership roles in the sector through professional forums and networking events. At one such meeting in November 2018, co-organized by NIWS and Peru’s National Water Authority, Norma Cáceres (pictured) shared her experience as one of 200 members of an all-woman agricultural users association in northern Peru’s Chancay-Lambayeque watershed. A planned gathering scheduled for June 2019 — the Gender Equality and Water Security Summit — will take place in Lima, convening water sector leaders from Peru and around the world for a public conversation on the need and opportunity to invest in gender equality. There, NIWS will launch a new leadership program to connect champions like Norma and create new opportunities for women in the water sector and in their local communities. 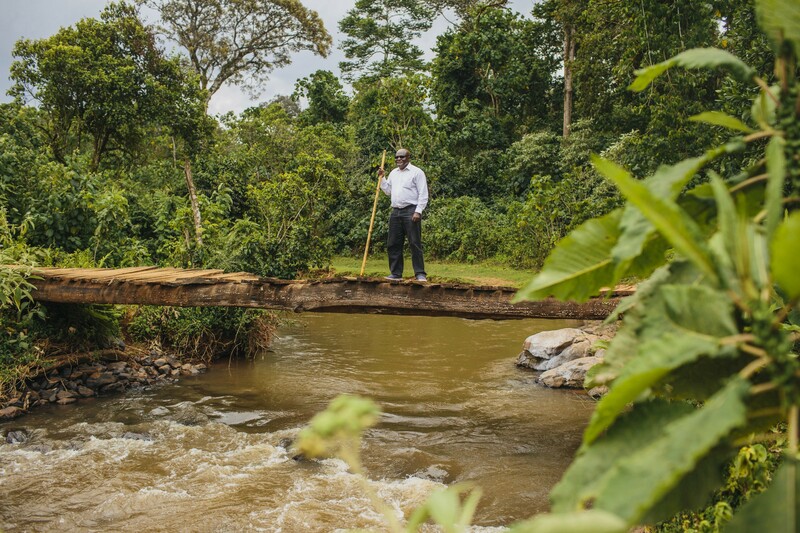 MARA RIVER BASIN–Sharing waters, sharing goals. SYRIA–Providing clean drinking water to restore a degree of normalcy in displacement camps and war-torn communities. Since the outbreak of civil war in Syria in 2011, displacement camps have been established to meet the humanitarian needs of internally displaced residents, which currently number 6.2 million people. Many of these displaced people arrive with waterborne illness because of a lack of safe drinking water on their journey. Crowded conditions in these camps pose dangers of their own and challenge authorities’ ability to provide safe water and sanitation. 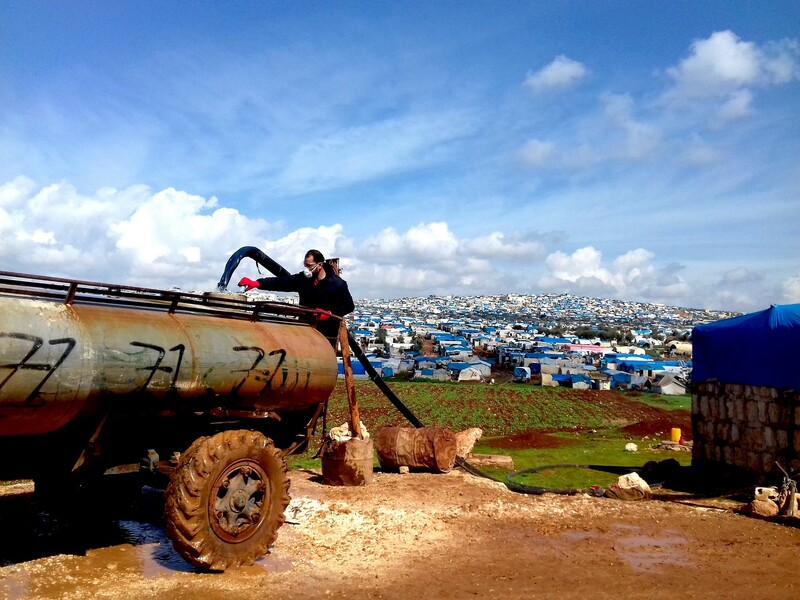 To ensure no one is left behind, USAID’s Office of U.S. Foreign Disaster Assistance (OFDA) and its partners provide water supply services to large camps, such as this one in northern Syria. Before the water is delivered, chlorine is added to sterilize the water tanks of every truck to ensure safe, high-quality drinking water for people in the camp. 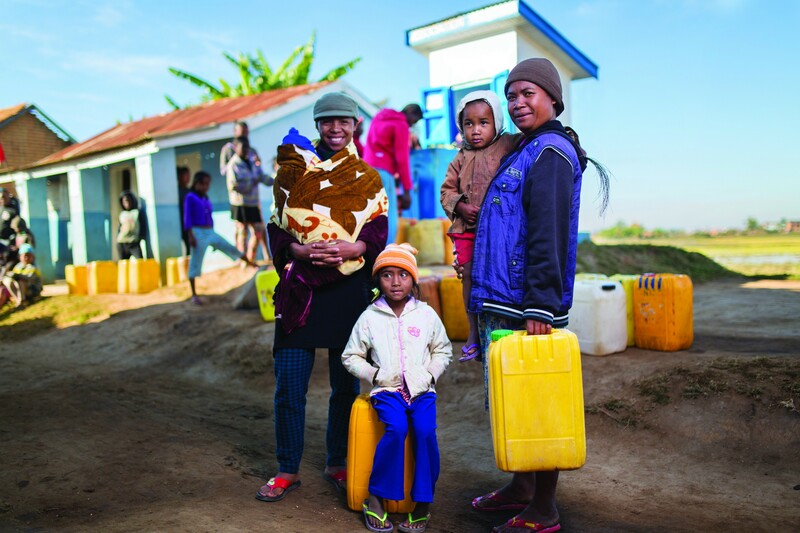 MADAGASCAR–Improved water distribution shortens walks and simplifies life. In Antananarivo, Madagascar’s capital, many residents do not have the means to afford water connections for their homes. To address this unmet need, the Water and Development Alliance (WADA) — a water security partnership between Coca-Cola and USAID — has teamed up with local partners to build water kiosks, such as the one shown above, that provide reliable and affordable water to low-income residents who can’t afford household connections. WADA Madagascar is building upon a successful partnership between the Replenish Africa Initiative and Water & Sanitation for the Urban Poor by expanding the construction of water kiosks, mitigating non-revenue water loss, and increasing the operational capacity of JIRAMA, Madagascar’s national water and sanitation provider. KENYA — Strengthening water utilities from the ground up. Pipes, wells, treatment facilities, and related infrastructure are all key pieces of any well-functioning water supply system. But good governance and sustainable financing are just as important to maintain high-quality water services. With the Kenya Integrated Water, Sanitation, and Hygiene (KIWASH) project, USAID supports local utilities to adopt best practices for efficient and effective water management, while also helping them build their credit worthiness to take advantage of commercial financing opportunities. 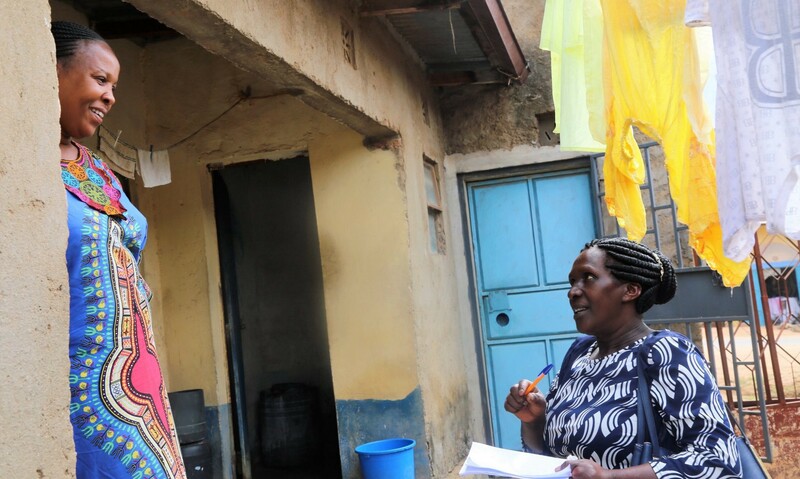 In this photo, Christine Kanini, who checks water meters for the Wote Water and Sewerage Company, speaks with a water customer in Wote, the capital of Makueni County in south-central Kenya. SOUTH SUDAN — Harnessing the power of the sun to improve local water access. 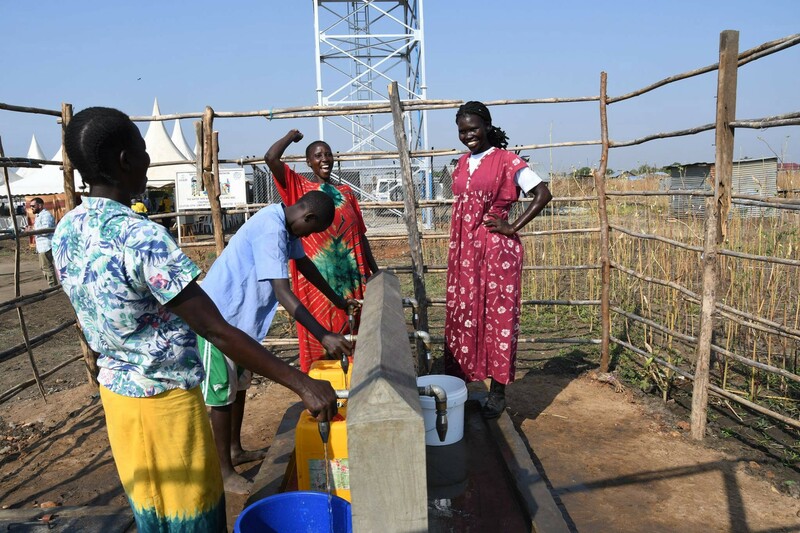 More than 4,000 residents of the Joppa neighborhood in Gudele West outside the capital of Juba are today enjoying improved quality of life, thanks to a new community water system that has reduced the time and money needed to obtain safe water. “We used to buy water from tankers — which some families could not afford regularly,” remembers resident Lona Kani. But ever since USAID’s Water, Sanitation and Hygiene Response and Prevention of Gender-Based Violence project opened a solar-powered water distribution system in the neighborhood in December 2018, local water access has significantly improved the residents’ lives. “We are very grateful for the American people who brought us water distribution taps closer to our homes,” says Kani. To ensure the sustainability of this new water distribution infrastructure, local residents have been trained on management and maintenance of the system. The project also included training on sanitation and hygiene to keep the water source clean — an essential factor in South Sudan, where only 10 percent of the population has access to safe sanitation, one of the world’s lowest rates. But the work is not done: Beyond Joppa, USAID plans to extend access to clean drinking water to half a million South Sudanese by 2021 through the construction or rehabilitation of additional water points and water distribution systems. This photo essay appears in Global Waters, Vol. 10, Issue 2; for past issues of the magazine, visit Global Waters’ homepage on Globalwaters.org. To subscribe to Global Waters magazine, click here. Follow us on Twitter @USAIDWater.